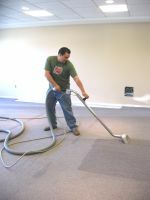 We offer cleaning services for installed carpet in your home as well as area rugs and upholstery. Karpet Kare uses state of the art Butler cleaning technology, number one in power. Our technician, Paul, is highly trained in stain removal and will make every effort to get the most stubborn of stains out of your carpet - he is the BEST! We also offer a printable home Stain Removal Guide or feel free to browse our online version. Please call Karpet Kare for an appointment for your in home cleaning. We bring our Butler advanced cleaning technology to your home. We can do stairs, upholstery, area rugs, and installed carpet. We do recommend light or consciously clean foot traffic the first 24 hours following your in home cleaning as damp carpet is more susceptible to soiling. Pricing: .45 cents per square foot for in-home cleaning, Sets of Stairs begin at $75 and upholstery is priced per piece depending on size and fabric. Additionally, we offer carpet protection which is recommended to be re-applied every time you have your carpet professionally steam-cleaned - about once per year for regularly trafficked homes. Pricing includes spot removal cleaning and products, and are subject to change without notice.